In January 2017, Pakistan again turned out to be in the center of Middle East politics, when the Kingdom of Saudi Arabia (KSA) made a hasty statement on its joining the Islamic Military Alliance (IMA); Riyadh also wanted to appoint the former Chief of Army Staff General Raheel Sharif as Commander-in-Chief of the IMA. 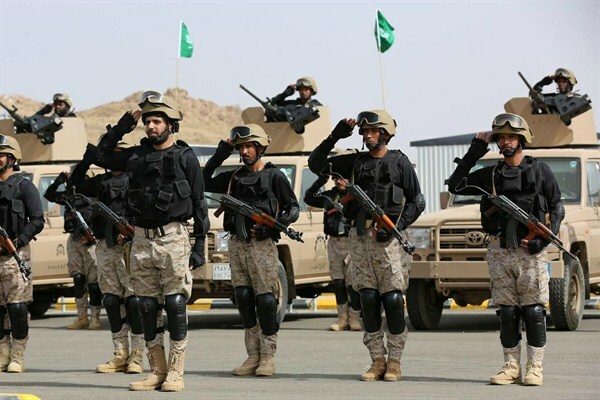 The KSA authorities’ attempt to form a military coalition of 39 Islamic countries, with its headquarters in Riyadh may be explained, firstly, by the desire to confirm its leadership in the Middle East. Secondly, in order to ensure the security of its own borders, for example, from Bahrain (taking into account the sentiment of the majority of Shiite population as the result of political and economic reactivation of Shiite Iran in the region). And, thirdly, to intercept the Russian-Iranian-Turkish initiative to combat the terrorist threat. The success of Russia’s military campaign against ISIS in Syria irritates the Saudi monarchy. 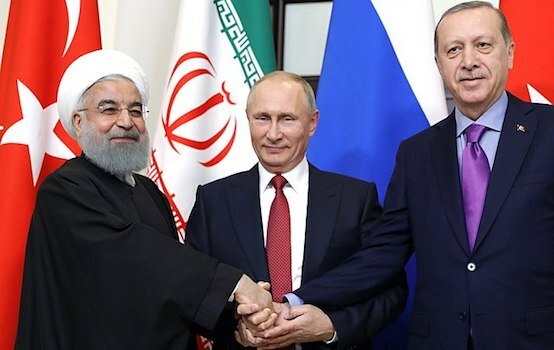 Russia and the KSA support warring parties in the Middle East conflict: Moscow in alliance with President Bashar al-Assad is committed to recovering contacts with the moderate Syrian opposition groups, while Riyadh supports various jihadist groups in Iraq and Syria. During the meeting of the Syrian authorities with the armed opposition on January 23-24, 2017 in Astana, Saudi Arabia, which continues to support the Sunni militant groups in Iraq and Syria, finally acknowledged that it has fallen from the list of participants in the settlement of the Middle East crisis. At the end of 2016, the KSA started talking about the creation of the IMA as a military force, headed by the KSA, in the fight against ISIS. Units of the Pakistan Armed Forces were expected to become the basis of the IMA; nothing was stated about a mechanism of interaction with the armies of other Islamic countries. This is not the first attempt to create an Islamic Military Alliance. It was first talked about in February 2016, when the KSA held the “Northern Storm” military exercises on its territory. The armies of 21 Islamic countries took part in it. 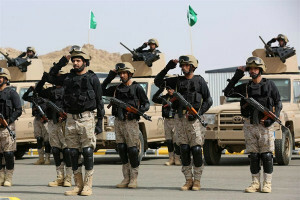 In reality, the exercises were more of a demonstrative nature and were a kind of show of military strength of the Sunni wing to the Shiite wing of Islam, in particular to the leadership of Iran and Yemeni Houthis. How has the situation regarding the formation of the Islamic Military Alliance changed a year later? The synchronicity of the actions taken by Moscow and Riyadh is striking. On January 7, 2017, the Russian Ministry of Defense announced the beginning of the withdrawal of Russian troops from Syria. A few hours later, Pakistani and Saudi media rushed to broadcast news about the supposed appointment of retired Pakistani General Raheel Sharif as Commander-in-Chief of the IMA. The world reacted differently to the news. The question naturally arose: is it the beginning of a great new militaristic game by the Sunnis of the Islamic Ummah or another military fiasco by the KSA; and what is the role of the retired Pakistani General in this game? Riyadh’s offer promised a lot of advantages to Islamabad: generous financial support, strengthening of its position in the region (especially in the times of its crisis in relations with India and Afghanistan), a new scale of military operations, establishment of the Pakistani army in the region, etc. The Saudi monarchy’s choice of Pakistani military units as the base for the IMA is due to several reasons. Firstly, Rawalpindi (the location of Army Staff) played a significant role in the formation of the armies of several countries in the Middle East in the 1960s-1990s. Secondly, the joint political support with Pakistan and the UAE for the Taliban regime of the Islamic Emirate of Afghanistan in the 1990s. Thirdly, the long-term financing of the Pakistani economic, military (including nuclear weapons program) and educational programs; and the saving of the life of the current Prime Minister Nawaz Sharif during his second term as Prime Minister after his removal from power by the military in 1999, etc. For KSA authorities, General R. Sharif is an ideal candidate for commanding the IMA: a Combat General, the initiator of the large-scale ‘Zarb-e-Azb’ military operation against foreign and local militants on the border with Afghanistan and in a number of urban centers of the country, one of the developers of the National Action Plan (Counter Terrorism Action Plan, border management, reform of madrassas, administrative reform, etc.). He ‘controlled’ the regional vector of Pakistani foreign policy. Moreover, he turned out to be a skillful diplomat in negotiations with the KSA. Following the stated purpose of unity of the Islamic Ummah, of achieving harmony between the countries of the region, he suggested that the authorities of the KSA include Shiite Iran in the Alliance. He also demanded the mandate to act as an arbitrator in the name of unity and harmony of the Muslims and in order to avoid pressure from the KSA he announced his refusal to serve under anyone else’s command. At the end of 2016-early 2017 he visited Saudi Arabia and met with its leaders (however, back then Islamabad emphasized that the ex-General’s trip was purely for pilgrimage purposes). However, it turned out to be vain pursuit, as it was a year and a half ago. The Parliament of Pakistan was against the appointment of the retired General R. Sharif to the post of Commander of the IMA. Refusal to grant him the No Objection Certificate as a state employee served as the formal pretext. History repeated itself. On April 10, 2015, deputies of both chambers of the National Assembly were against sending Pakistani troops to Saudi Arabia to participate in hostilities against Yemeni Houthis. Islamabad only confirmed that it would provide military support should there be a threat to the KSA’s territorial integrity and in order to protect Islamic Holy Sites. If ex-General R. Sharif had accepted the offer, this would have meant that Pakistan had retreated from a Decision approved by the Parliament in April 2015; and it would entail the revision of the current strategy of Islamabad’s foreign policy and of national security parameters. Certainly, the idea of creating the IMA is an effective one; the Alliance has the chance to be successfully established. The Islamic world, struck with wars and religious hostilities, urgently requires a coherent and coordinated approach to combat the threat of terrorism in the Middle East. However, the KSA was once again too hasty and suggested a unilateral approach by exclusively promoting the Sunni component of the Alliance. Not all leaders of the Islamic countries are confident in the objectivity of the Saudis in terms of regional policy, taking into account the deep contradictions between Riyadh and Tehran. Although the KSA was the one to have the idea of creating a Military Islamic Alliance, this does not mean they should necessarily lead it. After all, the United States can confront Russia in the Middle East, and they may even stand behind the new military alliance. The 45th US president D. Trump, who took office on January 22, this year, declared that ‘defeating ISIS and other radical Islamic terror groups …’ is the highest foreign policy priority. The fight against terrorism, in accordance with his guidelines, is an integral part of the development of positive energy relationships with US allies in the Persian Gulf: An America First Energy Plan. The new Head of the White House named the following tools in this struggle: cutting off funding for terrorist groups, expanding intelligence exchange, and engaging in cyber warfare to disrupt and disable propaganda and recruitment into their organizations. 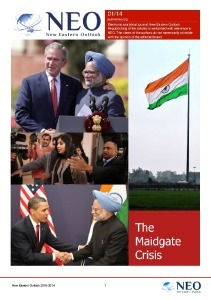 The first paragraph of the summary of the America First Foreign Policy miraculously coincides with the main provisions of the military doctrine of Pakistan in the fight against foreign militants, as well as with the key points of the speech given by ex-general R. Sharif entitled ‘Terrorism in the Digital Age’ at the World Economic Forum in Davos on January 17, 2017. The consonance of these two documents confirms the affinity of the positions of US President D. Trump and the Pakistani retired General R. Sharif in the fight against the terrorist threat and thus it provides the latter with the chance to perform, for example, the role of advisor to the new Military Alliance in the Middle East.